Breakfast is definitely my favorite meal of the day. There’s just something so magical about the first bite you take after a good night’s rest (or after pulling an all-nighter) that really sets the tone for the rest of your day. 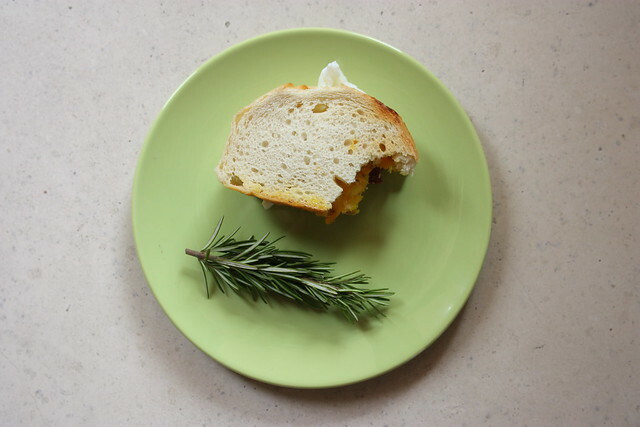 Some days I keep it simple and have some cereal and milk, other days I enjoy some poached eggs with delightfully warm hollandaise sauce melting across the top, and then there are days that I feel really adventurous and I put together an egg sandwich. 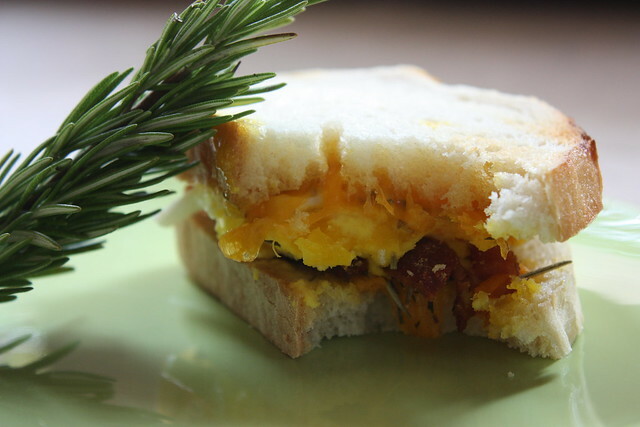 I think there are three components to the perfect egg sandwich: great bread, quality cheese, and well-prepared eggs. If you’re missing any of these three the sandwich will be missing its potential. I’ve eaten an extraordinary amount of breakfast sandwiches in my day and I enjoy everything from the classic to the exotic. When making my own, I love to experiment with different bread/cheese/preparation techniques and in this instance I found a true winner. Put your bread in the toaster. If you have a toaster oven that’s even better. You want it to be a light golden brown before you add the cheese. For this sandwich, I poached my eggs. I use the whirlpool technique but feel free to do whatever makes you comfortable. If you’ve never poached an egg check out youtube for more tutorials than you’ve ever dreamed of. While your eggs are poaching make your bacon. If you’re making lots of sandwiches you can put your bacon in the oven. If you’re just cooking for yourself I suggest microwaving it. When everything is toasted/poached/baconed put your sandwich together. I like my cheese on each side of the bread followed by the fresh herbs then the bacon and finally the egg in the middle. I used a mini-loaf of bread so I only needed one egg per sandwich.